← Join the FCIL-SIS Electronic Research Interest Group! Hello, FCIL-SIS members! 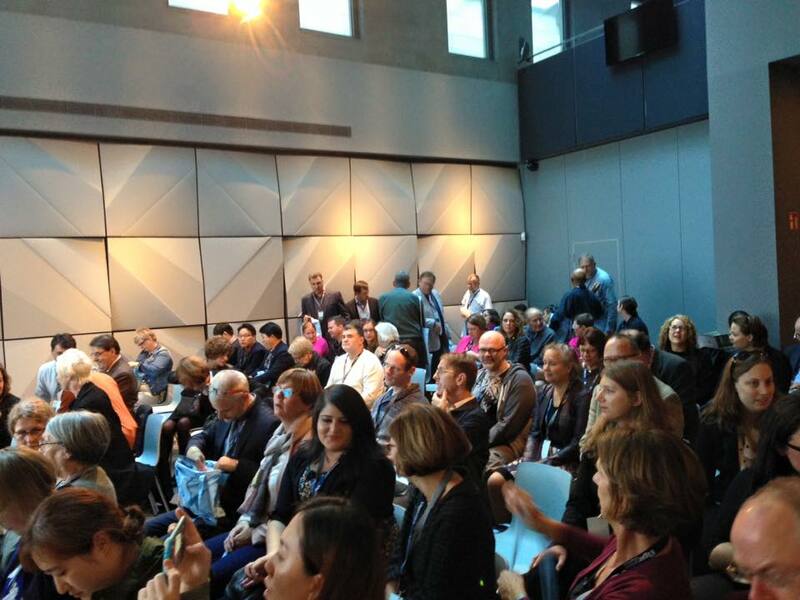 Our IALL conference bloggers have had some very long conference days here in Berlin, but are excited to start bringing you some recaps now that the dust is settling and we being to return to the U.S. 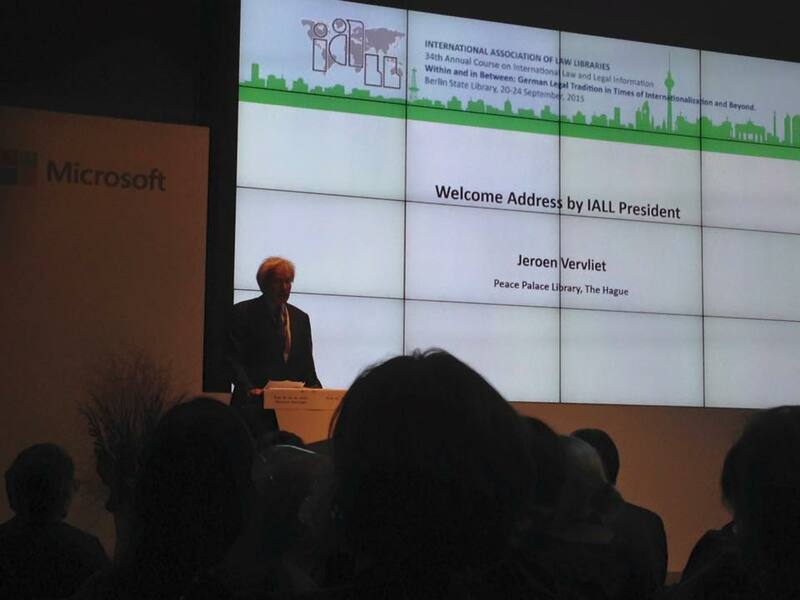 The 34th Annual Course on International Law and Legal Information, Within and In Between: German Legal Tradition in Times of Internationalization and Beyond, kicked off on Sunday night at the Microsoft Atrium with welcome addresses from IALL President, Jeroen Vervliet, and President of the Prussian Cultural Heritage Foundation, Hermann Parzinger. Professor Dr. Thomas Duve then spoke on Transnationalisation of Law and Legal Scholarship: Intellectual and Institutional Challenges. 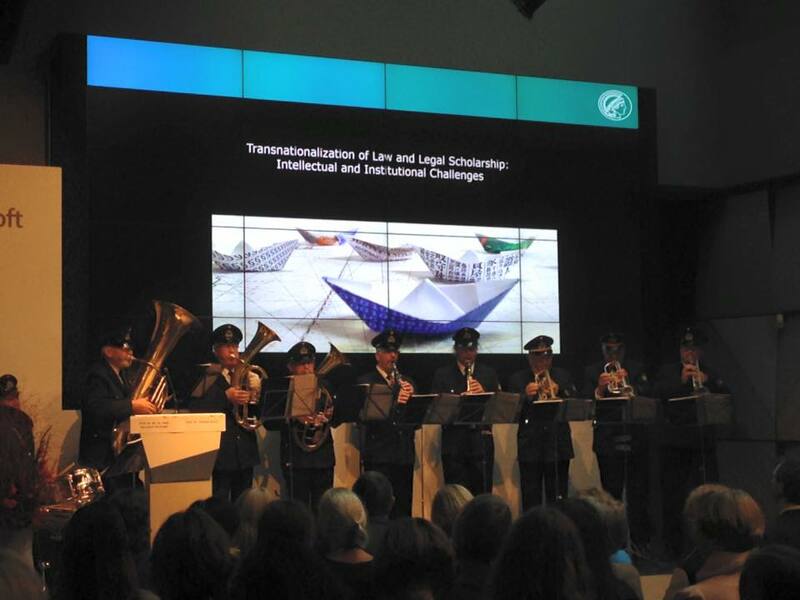 Following the opening remarks, the delegates were treated to a performance by the Berlin Fire Department’s Brass Band and a cocktail reception in the Atrium’s Digital Eatery. 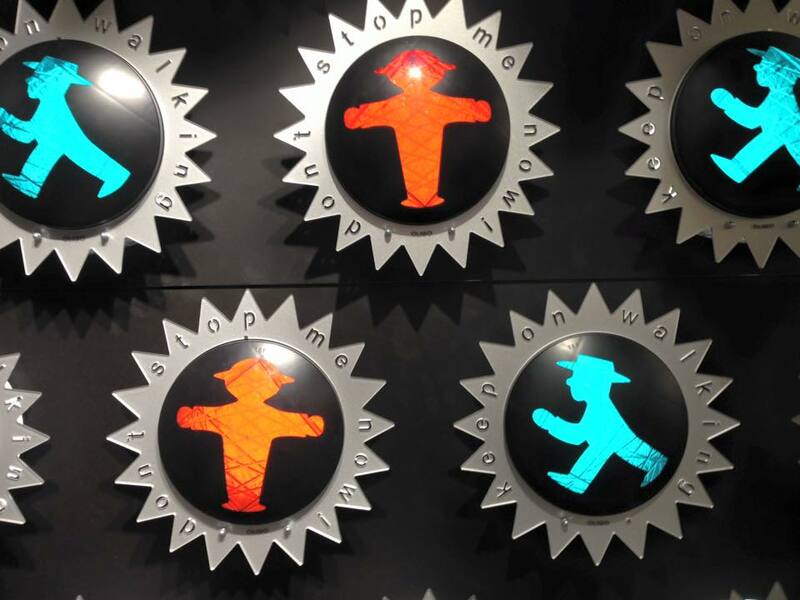 On the way out, few could resist a little souvenir shopping at the nearby Ampelmann shop, featuring the green and red symbols shown on pedestrian signals in the former East Germany, which have since attained cult status as one of the few features of communist East Germany to have survived the German reunification. Each day since the opening event has been packed with educational programming on German legal issues, as well as social and cultural events courtesy of this year’s local planning committee. Though we have had a full week so far, we look forward to recapping individual programs and events over the course of the next several weeks. This entry was posted in Conference Programming, Conferences, IALL Conferences, International Law and tagged 2015, annual conference, Berlin, conference programs, conferences, europe, Germany, iall, international association of law libraries, international law, photos, travel. Bookmark the permalink.